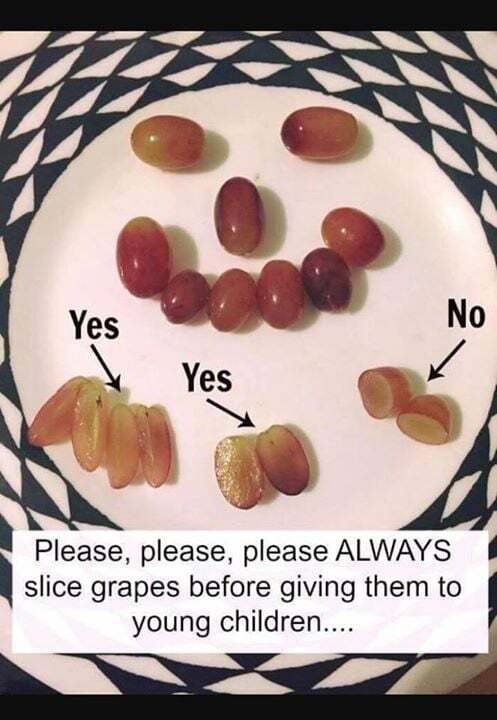 We all know we’re are supposed to slice grapes before giving them to young children to prevent possible choking. But what if your little one somehow snags a whole one without you realizing? Or what if you’ve been cutting them — but just the wrong way? Sophie Jackson found out in the most frightening way possible when her 2-year-old son, Jake, put a few grapes in his mouth and immediately started choking. In her Facebook post detailing the events, she chronicles the steps she took — some incorrect, according to the American Red Cross — that thankfully led to the boy’s recovery.